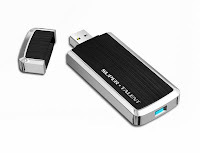 Super Talent Technology, a leading manufacturer of Flash storage solutions and DRAM memory modules, today announced the new SuperSpeed USB 3.0 RAIDDrive, which supports transfer speeds up to ten times faster than USB 2.0 drives. The new drive, in 32GB, 64GB and 128GB capacities, is fully backward compatible with USB 2.0 ports, but operates at slower speeds. The USB 3.0 RAIDDrive uses patented “multiple pairs of differential serial data lines technology” for optimal NAND flash performance. “This product underscores Super Talent’s continued leadership in USB drives.” said Super Talent COO, C.H. Lee. “We’ve developed the world’s first mobile USB 3.0 flash drive. 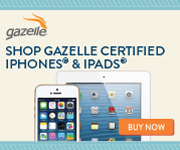 It delivers phenomenal performance and it incorporates our own patented technology”. Measuring 95 x 37 x13 mm, the SuperSpeed drive is a truly portable drive. Like most USB drives, it requires no separate cable. It plugs directly into any USB port. Although this drive will work in USB 2.0, it delivers transfer speeds up to 200MB/sec only in USB 3.0 ports. Using a separate UAS Protocol driver with a USB 3.0 port this SuperSpeed drive can reach up to 320MB/sec transfer speeds. This product will be available in December from Super Talent resellers worldwide. Interested parties can register here for USB 3.0 product availability updates.